Vintage wooden table for indoor use. 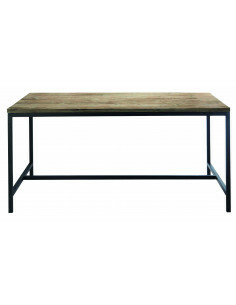 Wooden envelope and base with iron structure, metal legs. Industrial finish and painted in various colors. Of different dimension dimensions: 60x60, 70x70, 110x70 and 120x80. Height of 72cm. 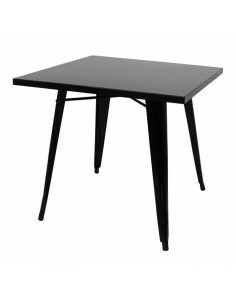 Vintage wooden table for indoor use. Wooden envelope and 10mm rod base. Industrial finish and painted in various colors. Of different dimension dimensions: 60x60, 70x70, 110x70 and 120x80. Height of 72cm. Vintage wooden table for indoor use. 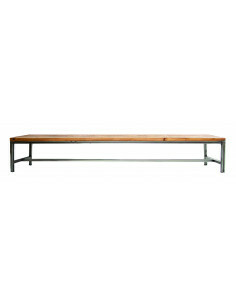 Wooden envelope and table base in 60x15 tube. Industrial finish and painted in various colors. Of different dimension dimensions: 60x60, 70x70, 110x70 and 120x80. Height of 72cm. 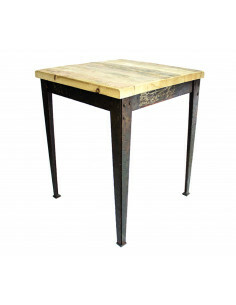 Vintage wooden table for indoor use. 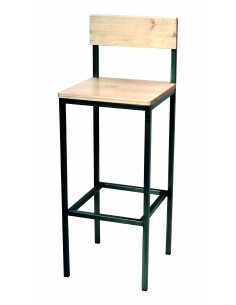 Wooden envelope and table base metal tube 30x30mm. Industrial finish and painted in various colors. Of different dimension dimensions: 120x80, 150x80, 200x80. Height of 72cm. Vintage wooden bench for indoor use. Pine wood envelope and base metal bench tube 30x30mm. Industrial finish and painted in various colors. Of different dimension dimensions: 120x40, 150x40, 200x40.Height of 45cm. 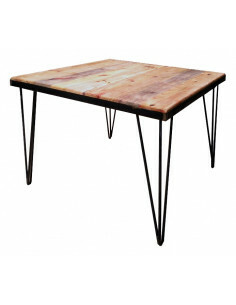 Vintage metal table. Retro furniture. 80cm. Available in black and white color. See also chair and armchair in vintage look also. 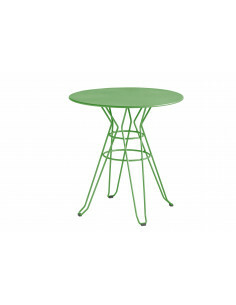 Vintage style outdoor table mho1145005 in colors suitable for outdoor and indoor use. 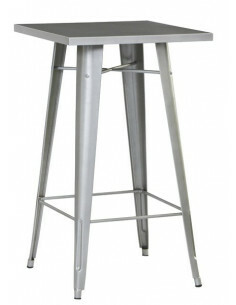 Collection made of galvanized steel coated in polyester (powder coated). Idal for contract. 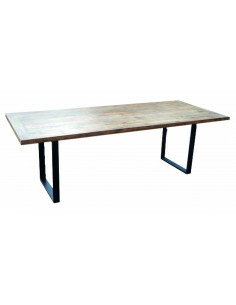 Vintage style outdoor rectangular table in colors suitable for outdoor and indoor use. 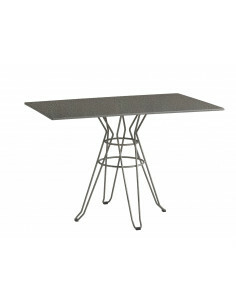 Collection made of galvanized steel coated in polyester (powder coated). Idal for contract. Vintage wooden chair for indoor use. Seat and backrest in solid pine wood. 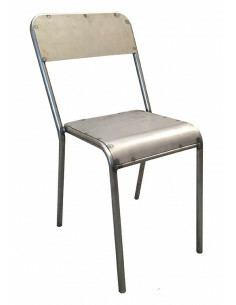 Metal chair tube of 22 mm. Industrial finish and painted in various colors. 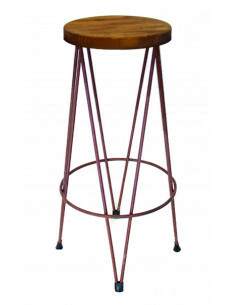 Vintage metal High stool table available in different colours. 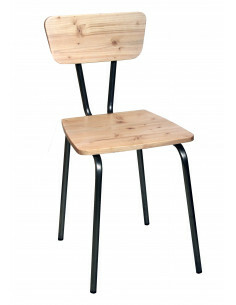 See also stackable stool. 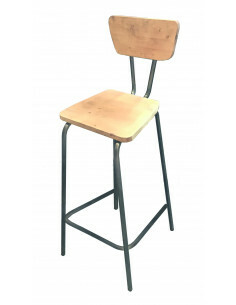 Vintage wooden chair for indoor use Of dimensions 86x42x54cm. Seat and backrest in sheet metal. Industrial finish and painted in various colors. Vintage wooden stool for indoor use. Height of 78cm. Metallic rod of 10mm. Footrest 14mm tube. Wooden pine seat. Industrial finish and painted in various colors. Vintage wooden stool for indoor use. Height of 78cm. Metallic tube of 22mm. Footrest 14mm tube. Seat wood pine. Industrial finish and painted in various colors. Vintage wooden stool for indoor use. Height of 78cm. Metallic tube of 22mm. Seat and back pine wood. Industrial finish and painted in various colors. Vintage wooden stool for indoor use. Height of 74cm. Metallic tube of 20X20mm. Seat and back pine wood. 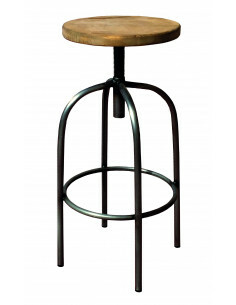 Industrial finish and painted in various colors.